Its hot and getting hotter. No, I’m not talking about the weather this time. I’m referring to the spotted bass fishing on Jordan Lake. Each year, this lake, now near 75 years old, gets better with age. The Lakes headwaters get all the notoriety for the spotted action found here throughout the summer months. Below Mitchell Lake dam, the spots, as most anglers call them, are right at home in this perfect, spotted bass habitat. First of all they have current. Spotted bass love current. They also have boulder strewn banks, rocky bluffs and rocky points and even some washed out holes and ledges on the lakes bottom. All “spots” love these attractions. Baitfish, washed through the dam discharge, keeps em’ coming back for more and many huge spotted bass just spend their lives within a few miles of the dam. Spotted bass, weighing up to 8 pounds (or more) have been taken here, by the angler fortunate enough to land them. 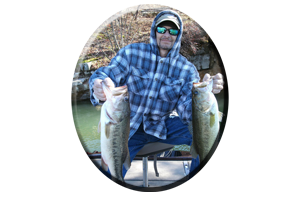 Spots, in the 4-5 pound range, are common in these Jordan Lake headwaters and some anglers catch a 5 bass, 20 pound limit, on any summer outing here. Fooling these bass, that have seen so many lure choices, would seem to be difficult. But you never know, unless you throw. 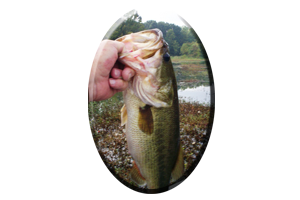 Choosing many types of lures, in a days time, will eventually show them a lure, they have not seen very much or a retrieve that triggers that reflex strike. 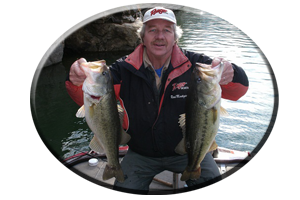 The old standby, the worm, has fooled many of the bigger spotted bass species found here. Although these spotted bass have features such as a small mouth, they can be gluttons when it comes to soft plastics. Many anglers choose small 4-6 inch worms. But 7- 8 inch models, seem to target the bigger bass. This oversized lure choice also goes for crayfish or lizard imitations. The bigger the offering, the bigger the bass. Around these rocks many crayfish are consumed by the bass. 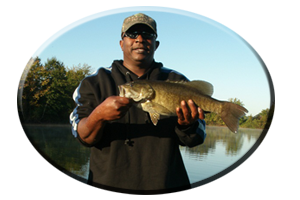 Lures such as jigs, with pork or plastic trailers, get the attention of bass feeding on these bottom dwelling crustaceans. With all the evident baitfish found here in Jordan Lakes headwaters, lures that resemble shad or bream are good choices. Spinnerbaits fool a lot of these bass. Crankbaits, rattletraps and jerkbaits, are all excellent for covering a lot of water fast and getting that reflex strike from lure conscience bass. Topwaters, such as zara spooks, baby torpedoes, spittin’ image, pop-r’s, double prop baits and buzzbaits, always generate a few anxious bass bites. Prepare for these bass. They are very strong and will test any tackle or anglers patience. Many anglers leave Jordan Lake, with just the tale of the one that got away. You don’t have to use light line and tackle, unless you want to. Line in the 14-20 pound test category can be safely used, without breaking off any trophy sized bass. 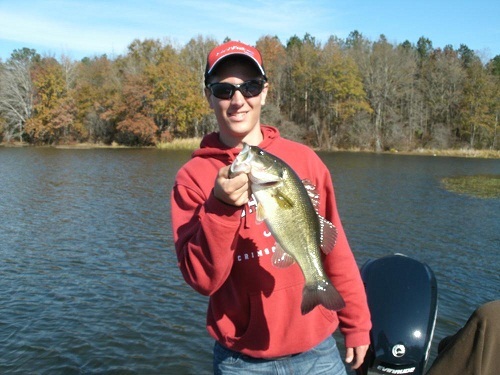 Give it a try this summer and discover the incredible spotted bass action on Jordan Lake. 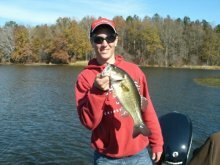 Fish Jordan Lake this summer and discover the Coosa River Spotted bass action to be found in these lake headwaters. But also explore the lakes wood cover and weedbeds for some big largemouth bass exists here as well. Or call on Reeds Guide Service…first! 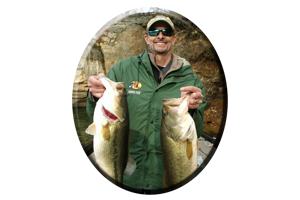 (205) 663-1504 “Fishing and guiding on Jordan Lake and other Alabama Lakes for over 40 years.” Remember, a guided fishing trip with Reeds Guide Service also makes a great gift for Birthdays, Father’s day or for Christmas (certificates available), for those loved ones that love to fish.